FilmDistrict, Alliance Films and Sony Pictures Worldwide Acquisitions announced today that they will bring INSIDIOUS CHAPTER 2, the sequel to last year’s hit film INSIDIOUS which captivated horror movie fans worldwide, to U.S. theatres on August 30, 2013 via FilmDistrict. Patrick Wilson, Rose Byrne, Lin Shaye, and Ty Simpkins will reprise their roles in the film which James Wan, who directed INSIDIOUS, will direct from a script written by Leigh Whannell who also wrote the first film. 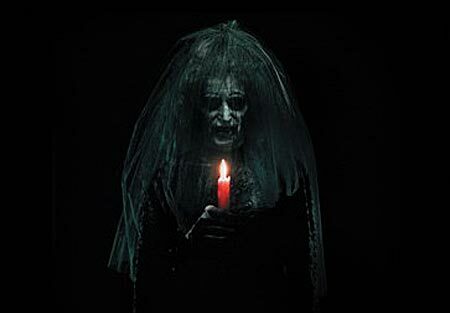 Jason Blum, who produced INSIDIOUS, is producing the low-budget sequel through his Blumhouse Productions. Brian Kavanaugh Jones, Oren Peli , Steven Schneider, and Charles Layton are executive producing. Production on the sequel is set to begin on January 15, 2013 in Los Angeles. Sony Pictures Worldwide Acquisitions acquired the U.S. rights to the film in conjunction with FilmDistrict. INSIDIOUS CHAPTER 2 is being financed by Alliance Films. FilmDistrict will distribute the film theatrically in the United States, with Sony handling the majority of ancillary rights in the U.S. Alliance Films will distribute in Canada, the UK (via its Momentum Pictures subsidiary) and Spain (via Aurum), and Sony Pictures Worldwide Acquisitions will distribute in all other international territories. The first INSIDIOUS, starring Patrick Wilson and Rose Byrne, told the story of Josh and Renai Lambert and their son Dalton, confronting the demons that possess the young boy. The project was picked up by Sony Pictures Worldwide Acquisitions at the 2010 Toronto International Film Festival and distributed by FilmDistrict. It was released on April 1, 2011, and has grossed $97 million worldwide. With the picture’s reported $1.5 million budget, it has led to the film being called the most profitable film of 2011. Wan most recently directed THE CONJURING for Warner Bros. The film, which reunited him with INSIDIOUS star Patrick Wilson, will open on July 19. Wan is also set to direct a feature adaptation of the hit television series MACGYVER for Warner Bros.
Wilson and Byrne are represented by CAA. Byrne is also represented by RGM Artist Group. Shaye is represented by Don Buchwald & Assoc. / Fortitude. Simpkins is represented by ICM Partners. Wan and Whannell are represented by Paradigm and Stacey Testro International. Blumhouse, which produced INSIDIOUS, has created a model of producing low-budget genre films for wide release and the company has produced five movies in the past two years that out grossed their budgets on opening weekend, most recently SINISTER and PARANORMAL ACTIVITY 4. This entry was posted on Tuesday, November 20th, 2012 at 4:57 pm	and is filed under Film, News. You can follow any responses to this entry through the RSS 2.0 feed. You can skip to the end and leave a response. Pinging is currently not allowed.